The Association for Rizokarpasso, is the representative body for all the UK Cypriots from Rizokarpasso or those who can trace their origins to Rizokarpasso. Founded in 1975 and formed by many of those who fled their homes in 1974, its aim was to provide a forum which could bring together all those from Rizokarpasso who now find themselves displaced and scattered over large geographical areas. Since its inception, the Association has campaigned against the invasion, occupation, ethnic cleansing and destruction of the cultural heritage of Rizokarpasso. 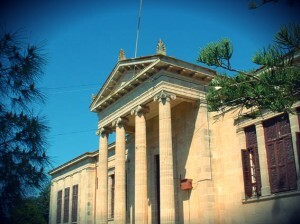 Never missing an opportunity to raise the issue of Apostolos Andreas Monastery, the continued denial of human rights of the enclaved 260 Greek Cypriots in Rizokarpasso by the illegal administration and the rights of the legal owners of properties in occupied north Cyprus. In 1977, the Association founded the Help Rizokarpasso charity in order to provide charitable aid for the enclaved or those who have originated from the area of Rizokarpasso in the Karpasia district of Cyprus.